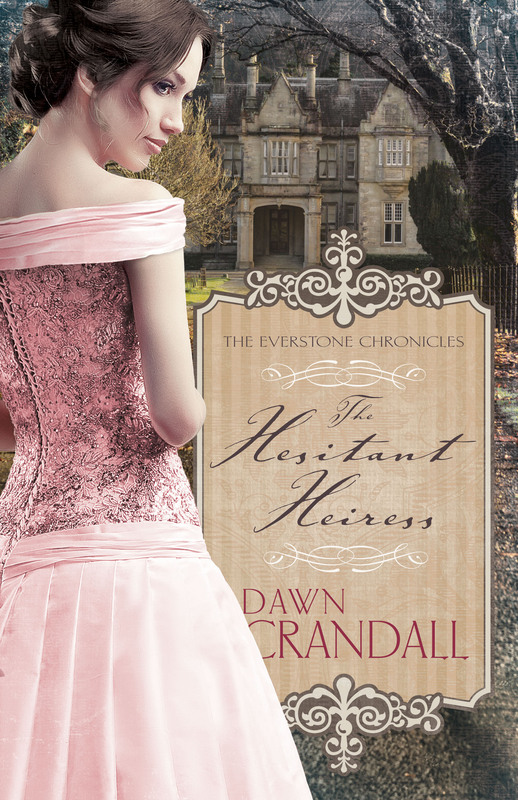 Two days ago I posted my review of Dawn Crandall’s debut novel, The Hesitant Heiress. 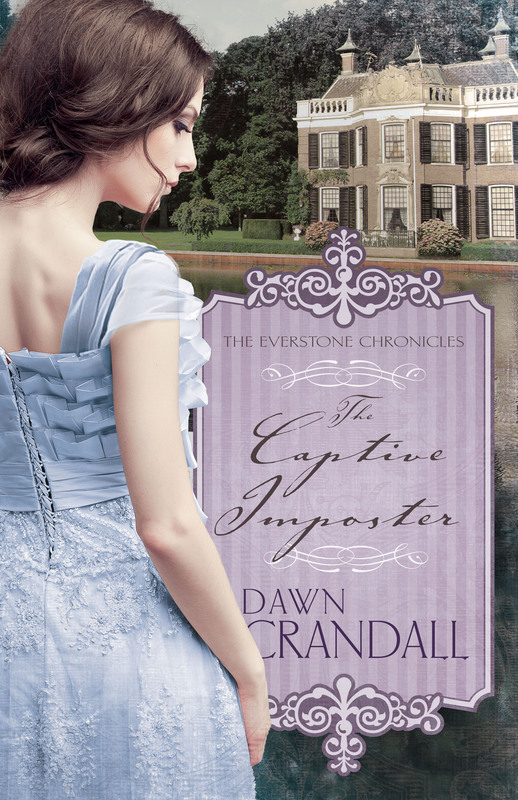 To celebrate the release of her novel, Dawn is making two appearances on my blog to share her thoughts on her writing process, as well as and the story behind The Hesitant Heiress! Yesterday she talked about the inspiration behind The Hesitant Heiress; in our second session, she is going to share with us the process behind her novel writing. 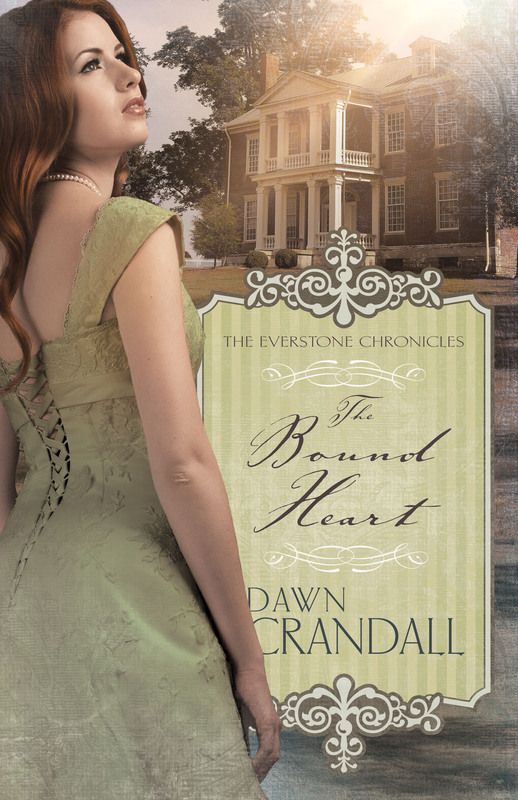 I am beyond excited to welcome Dawn to A Way With Words and know you all will enjoy meeting one of Christian fiction’s newest beloved authors. 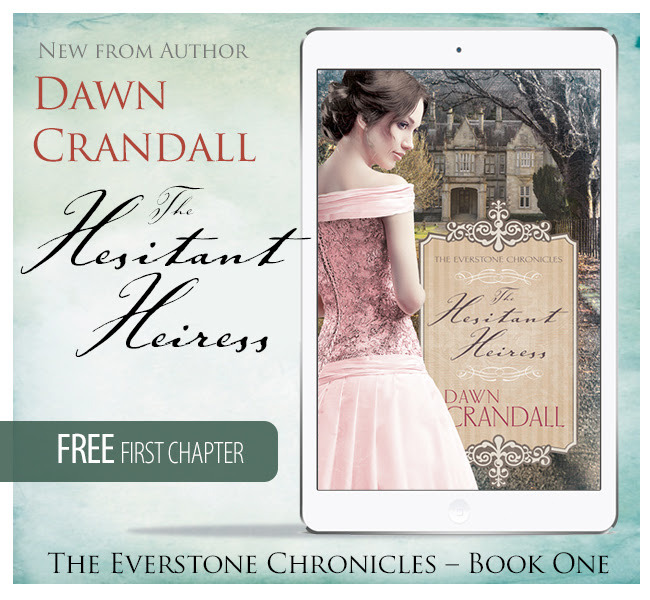 Read the interview and scroll to the bottom of the post to see how you can win an e-book copy of The Hesitant Heiress, one of Christian fiction’s hottest new releases! Writing was always my favorite subject in school! ALWAYS! But then again, I was never good at anything else in school…. besides drawing. But does that even count? It came on super strong after I found books I actually loved to read while I was in high school. They were all classics—and they are still my favorites! My husband had a HUGE role in my actually starting to write. I didn’t write after high school. Life got busy, and I had to focus on working. It wasn’t until he encouraged me to stay home and write that I sat down to figure this book-writing thing out. 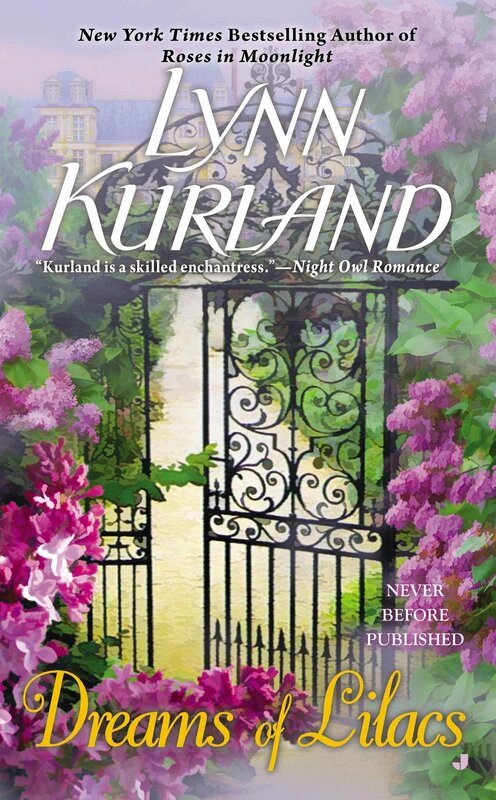 Many of the classics I love so much… Jane Eyre, Jane Austen’s books, Les Miserables, Great Expectations… but also, when I had to think about what kind of readers I would have, I needed to delve into what was being written by Christian Historical Romance authors… and that was when I found Julie Lessman, Julie Klassen, Jody Hedlund, Elizabeth Camden and my newest favorite author, Lori Benton. I love the way they write their characters and their plots! My writing process is scary. I’ve mentioned in other interviews that I have ADD… It totally gets in my way a lot, even as it helps with other aspects of dreaming up/thinking up what’s going to happen in my manuscript. So far, with the two books I’ve finished (as well as the third one, which ‘m working on), I get at least half of the book written before I even know what’s really going on. I write a bunch of scenes, and I have a plan… but then I go and rearrange all of my scenes and change things up, or find out what a character is really up to. It’s like a jig saw puzzle in my head. I joke with my husband that he cannot talk to me when I’m at my laptop rearranging things because I’m “performing brain surgery” on my novel and need all of my concentration. Otherwise, I get mixed up and lose my place. Yes. Everything. Like I said, it’s very difficult to write a book while struggling through the scatterbrain-ness of having ADD. But there’s also very little I love more than writing these complexly emotional first-person stories that point to God and His healing power in all situations. Is there a certain type of scene that’s harder for you to write than others? Love? Action? Actions scenes are the most difficult for me. Love scenes—well, I guess actually, most scenes—come to me in pieces. But because they’re emotionally-based, it’s easier to get them to make sense. Actions scenes are so technical! Marketing. I know it’s what needs to be done no matter your publisher. Any author these days really needs to be “out there” promoting in some way. 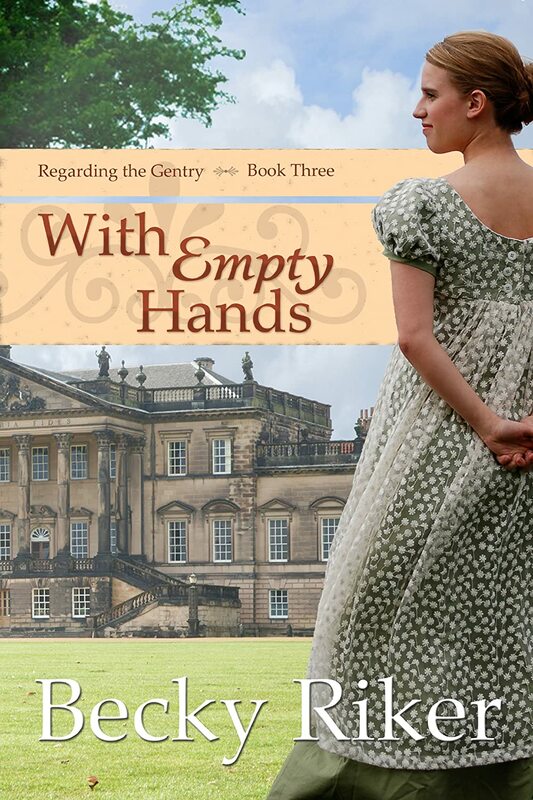 I wasn’t required to do the blog tour for The Hesitant Heiress’s release, but I knew it would be good to do. I would have so much rather sat back and taken my own advice—which is: IF YOU’RE GOING TO WRITE A BOOK, MAKE IT THE BEST BOOK YOU POSSIBLY CAN. IT WILL SPEAK FOR ITSELF. Do you have a favorite writing conference to attend? What is it? I attend the ACFW conference every year. Even when pregnant or when there’s a six month old at home. I’m not looking forward to leaving him. I’m hardly able to leave him in the nursery at church! Do you have any particular advice for new writers attending conferences? Pay for the offered critiques. Go to your agent meetings. I really hate big crowds of people, and I never would have gone to my first conference except that my husband sent me. [He believed in me a lot!] I’ve been back ever since because I know how important it is to make friends with other writers, whether they are published or aspiring. Do you need a line/substantive editor? 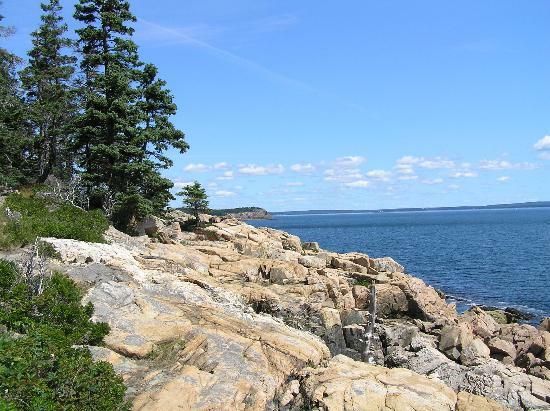 A post on substantive editing from my NEC editing professor, from her editorial blog Editor Queries. A beautiful poem from one of my best friends about the connection she feels between herself, others, and God through writing. I wrote this poem by request for a theme at church one week about the creative gifts of the congregation. I was asked to think about why I write poetry, and here is one answer. 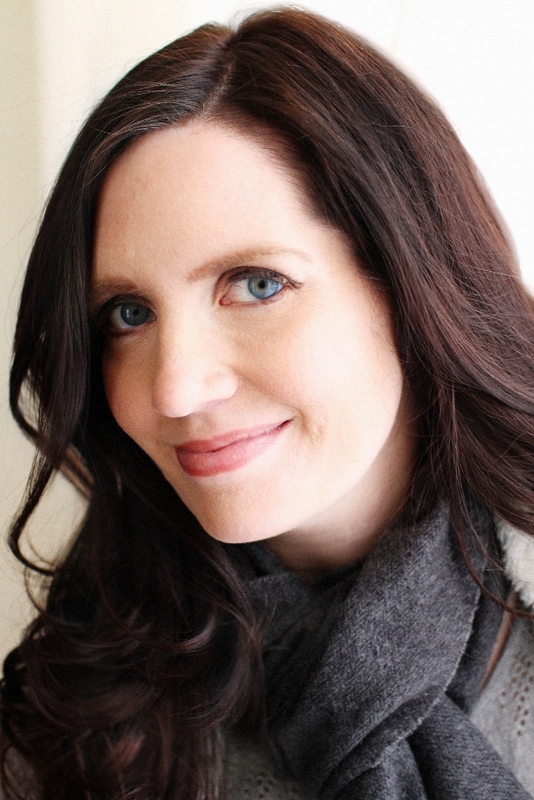 Why I Write by Morgan Prettyman is licensed under a Creative Commons Attribution-NonCommercial-NoDerivatives 4.0 International License.